A great way of adding extra weight to your exercises, these weight vests are available in 10kg, 15kg, 20kg and 30kg sizes. Perfect for wearing during running, plyometric training and bodyweight exercises to increase resistance. They are ergonomically designed for a secure, comfortable fit and allow you to make small weight adjustments by adding/removing the solid metal plates. 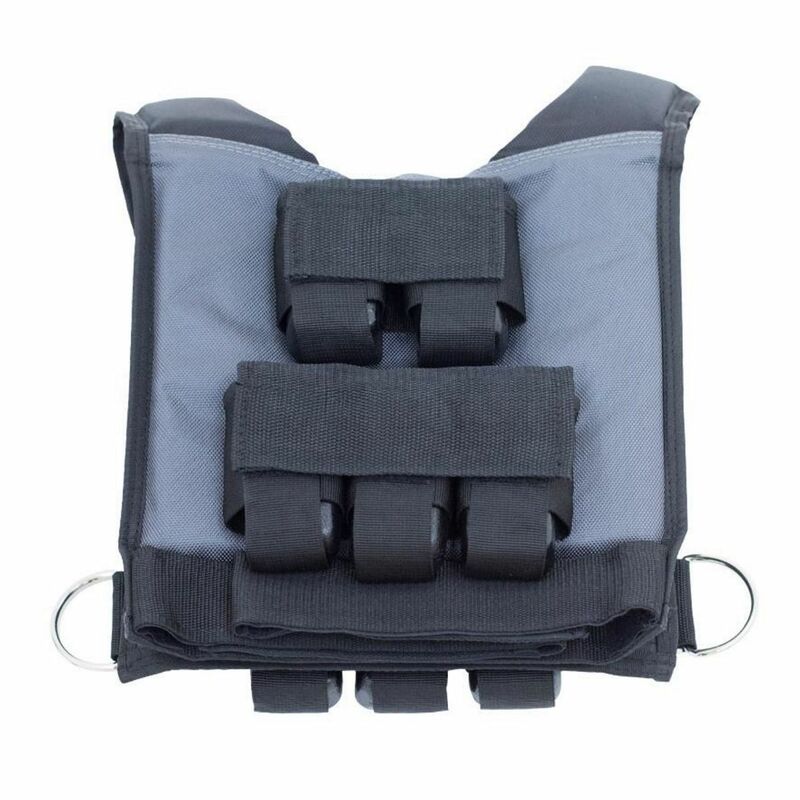 These weight vests are great for loading the core centrally (rather than peripherally when you hold weights) and are ideal for rehabilitation exercises. They also have multi-attachment points for performing dragging/sled type exercises. 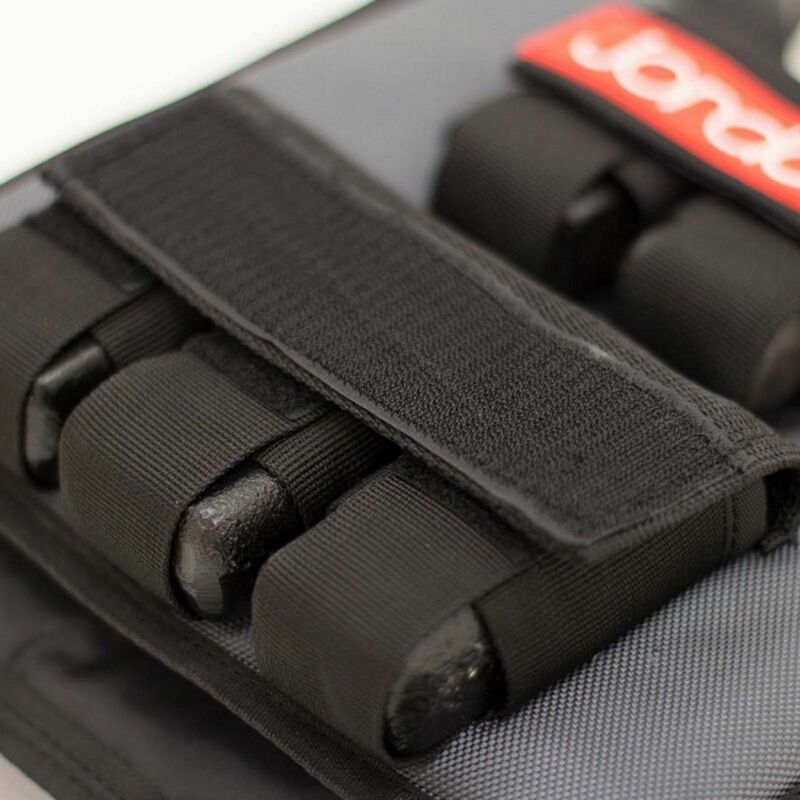 These weighted vests manufactured by Jordan Fitness are adjustable, comfortable and durable making them great for personal trainers, fitness instructors and general gym users who want to add more weight to their exercises. Wearing a weighted vest will help you build strength and power as they load the core and make it harder to perform exercises. We challenge you to wear one of these whilst performing press ups, box jumps, chin ups and we guarantee you will work up a sweat! You can add/remove weights for small weight adjustments and they come in various sizes from 10 to 30kg.